From Queensbury to Clifton our exclusive video takes a rider’s eye view of stage three of the Tour de Yorkshire as it passes through Calderdale and gives you a chance to find the perfect viewing spot. The stage will be a decisive few hours in the 2017 race, ominously named the Yorkshire Terrier due to its punishing parcours. To make sure spectators and cyclists alike can enjoy a safe event, there will be a number of road closures on the route. 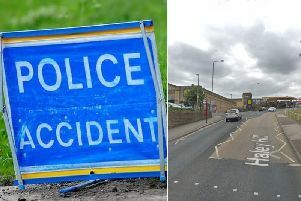 These will mainly be rolling road closures through Calderdale, as roads close 30 minutes before the riders pass, and open almost immediately after. Here is our road-by-road route as it comes through Calderdale. The riders will pass through Calderdale as they ride from Queensbury and head towards Stone Chair roundabout along Brighouse Road. They will take a right onto Halifax Road and join Godley Lane at Stump Cross and take a right up Kell Lane then left onto Blake Hill. Riders will turn right onto Range Lane and left onto Haley Hill and make their way up to Beacon Hill Road and through Southowram on Bank Top, Law Lane, and left into Cain Lane/ChurchLane/Brookfoot Lane down to Elland Road. The race will head into Brighouse, turn right around the roundabout and into the town centre along Bethel Street and out onto the A641. Cyclists will then take a right and head up Clifton Common and out on Highmoor Lane. Roads around Shibden Wall and Brighouse town centre will be closed to traffic from 8.30am on the morning of the race. For more events that are happening around Calderdale click here. Drivers travelling near the Tour de Yorkshire this weekend are advised to allow extra time for their journeys. During Sunday’s final phase which goes from Bradford to Fox Valley the race will cross under the M62 between junctions 25/26 at (Brighouse/Chain Bar) and the A616. For safety reasons, rolling road closures will take place along the route and Highways England is advising anyone travelling through the area to allow extra time for their journey, or to plan an alternative route or time.